You may be wondering what action you need to take, if any, to ensure you continue TRICARE coverage in 2018. 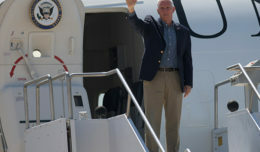 Some beneficiaries will need to take action, but most will not. If you’re currently enrolled in or eligible for TRICARE coverage on Dec. 31, 2017, you’ll transition to your respective TRICARE plan on Jan. 1, 2018. If you want to enroll in a TRICARE plan or change coverage after Jan. 1, 2018, you’ll need to take action to enroll in the plan of your choice. You may be wondering what action you need to take, if any, to ensure you continue TRICARE coverage in 2018. Some beneficiaries will need to take action, but most will not. If you’re currently enrolled in or eligible for TRICARE coverage on Dec. 31, 2017, you’ll transition to your respective TRICARE plan on Jan. 1, 2018. If you want to enroll in a TRICARE plan or change coverage after Jan. 1, 2018, you’ll need to take action to enroll in the plan of your choice. Beneficiaries enrolled in TRICARE Prime, either stateside or overseas, as of Dec. 31, 2017, will remain enrolled in TRICARE Prime on Jan. 1, 2018. If you have TRICARE Standard or TRICARE Extra as of Dec. 31, 2017, you’ll transition to TRICARE Select. TRICARE Select replaces TRICARE Standard and TRICARE Extra on Jan. 1, 2018. On Jan. 1, 2018, TRICARE will transition from three regional contractors to two. Beneficiaries who pay premiums or enrollment fees by electronic funds transfer or recurring debit/credit card payment will be contacted to update their payment information. If you currently pay through a Defense Finance and Accounting Service allotment, your payments will automatically transfer. You don’t need to take any action unless your current TRICARE health plan coverage doesn’t automatically transition. In this case, you’ll need to contact the TRICARE contractor for your region. Check your eligibility in the Defense Enrollment Eligibility Reporting System (DEERS). 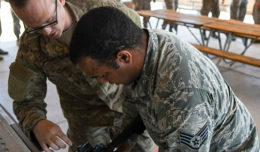 New active duty service members are automatically enrolled in TRICARE Prime or TRICARE Prime Remote if they live in remote areas in the U.S. Family members of active duty service members who become eligible for TRICARE on or after Jan. 1, 2018, will also be automatically enrolled in TRICARE Prime if they live in a Prime Service Area. If family members live outside a Prime Service Area, they’ll be automatically enrolled in TRICARE Select. 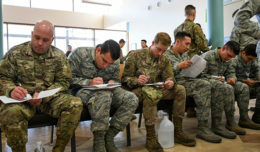 Active duty family members who are automatically enrolled in TRICARE Prime or TRICARE Select have up to 90 days after the eligibility date to change health plans. By Nov. 20, 2017, beneficiaries should complete any and all enrollment actions. During December 2017, there will be an enrollment freeze for TRICARE Prime enrollments, and a delay for primary care manager changes. For all other beneficiaries, you’ll also need to complete any and all enrollment actions by Nov. 20, 2017 to ensure continued health coverage in 2018. As long as your regional contractor receives your completed enrollment application by the 20th of the month, your coverage will begin on the first day of the next month. You’ll still be able to receive care during the enrollment freeze. If you have a problem accessing care, contact your regional contractor. Enrolling is easy. You can enroll in certain TRICARE plans over the phone, email or mail. Check out how to enroll or purchase a plan. Make sure your information is current in DEERS. Report any changes (for example, marriage, birth, divorce and death) to DEERS as soon as possible to ensure continuous TRICARE coverage. 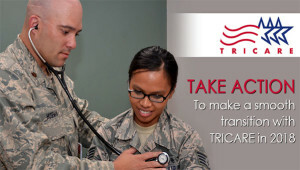 Visit the TRICARE Changes page for the latest information. You can also sign up for email alerts to get an email anytime new updates are available. Staying informed will help you take command of your health and prepare for changes in 2018.